A Shammy Shine Car Washes exclusive. 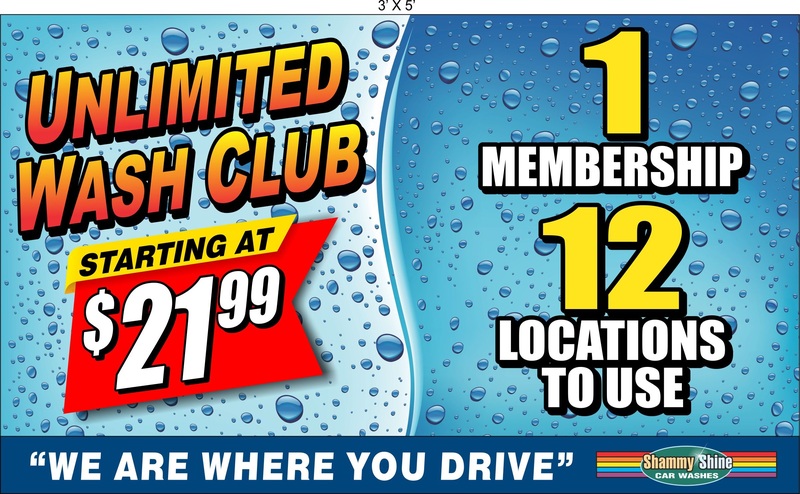 Join our Unlimited Car Wash Club and never drive a dirty car again! You’ll get “More Shine in Less Time” with the wash club that provides you fast, easy and unlimited car washes. It couldn’t be easier, simply download the form and take it to your favorite Shammy Shine Car Wash. Our employee will help you complete the application and register your credit card qualifying you for UNLIMITED car washes. A very small RFID tag will be affixed to uniquely identify your vehicle as qualified for as many washes as you wish. One simple monthly recurring charge to your designated credit card maintains your membership. When you want a wash, so long as we are open, simply pull into the lane and an automatic RFID reader will recognize your vehicle, welcome you to the wash, and expedite your entry into the wash tunnel. Need a car wash today but think it might rain tomorrow…no problem. You can wash your vehicle as frequently as you wish. Now that’s Easy, Fast and Economical. To signup for the Shammy Shine Wash Club, download the application below, fill out the form and take it to your nearest Shammy Shine Location to complete the application process. A. The Unlimited Wash Club provides a designated vehicle with unlimited visits to participating Shammy Shine Car Washes on a monthly basis. Q. How do I pay for my Unlimited Club membership? A. Each month, on the anniversary date of your Club enrollment a charge will me made to the credit card you designated during the enrollment process. Q. Can I wash all of my vehicles with a single membership? A. Each club vehicle receives a unique Radio Frequency ID tag providing that vehicle with unlimited washes. The tag is not transferable. Should you wish unlimited washes for more than one vehicle each would require its own membership and unique ID tag. Q. What if I subscribe to the basic Express Exterior Club and want to purchase additional services occasionally. A. No problem at all. Members who purchase the basic package will be offered the opportunity to purchase additional services before proceeding to the wash tunnel entrance. Gold Supreme club members have unlimited access to every service available and have no need to make additional purchases. Q. Is there a long term commitment to be signed? A. Not at all. Your club membership is month to month and on your anniversary day we will automatically bill the credit card you designated during enrollment. Once you have enrolled you need do nothing more, unless you decide to no longer participate in the Unlimited Wash Club. Should you reach that decision, and we hope you won’t, simply let us know in writing and we will cancel your membership. Q. Can I use my Unlimited Wash Club at any Shammy Shine location? A. Sorry, no you cannot. 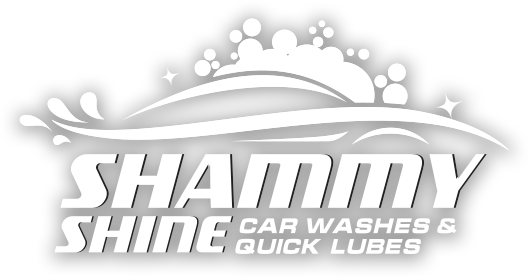 The Unlimited Wash Club is specific to our Shammy Shine Express Exterior locations with Automatic-Attendants. These locations will have the RFID tag readers installed and the software to recognize your vehicle and deliver your subscribed wash.
Pennsylvania: Easton Shammy Shine Car Wash at 240 N. Bushkill Drive, the Palmer Shammy Shine Car Wash at 2920 William Penn Highway, Palmer Township, the Bethlehem Shammy Shine Car Wash at 3925 Linden Street, the Allentown Shammy Shine Car Wash at 3310 Airport Road. New Jersey: Phillipsburg-Greenwich 1501 West Ave., Flemington Car Wash at 38 Highway 12, and Flemington Citgo Center at 222 Route 202/31, as well as, the Clinton I Shammy Shine at 181 Center Street & Route 31. Q. Are you guys crazy? A. We hope not. The unlimited wash club has been tested in many areas across the Country; we’re just the first to bring it to our marketplace. The business model is built on volume so if you enjoy your club membership please tell your friends and family.